Why do we rock SEO? SEO or search engine optimization, consists of strategy, technique and tactics to bring more visitors to a website in order to place them in a high-ranking position on the search results page of a search engine like Google or Bing. A lot of trial and error as well as planning and research go into achieving optimal results for a client’s website. It is important to understand a client’s industry, business goals and how best to achieve lasting results to get their website to the top of any search engine. Once this is achieved, we, at We Rock SEO, get to work for you and your business to get you results that work. Having an SEO company work for you means you need to find one that will be dedicated to your cause and pay attention to what is working and what needs more work. There are a lot of SEO companies on the market today in Philadelphia who promise you dedication and devotion only to end up taking your money and not really doing much to generate traffic flow to your site. And that is what you are paying them for. When searching for an SEO company to help you with your needs, pay attention to how many clients they have and exactly what they say they will do for you. If you become just a “number” and you don’t have the same person working with you on a daily basis, chances are you will get lost in the shuffle. This is not going to be good for business or your wallet. You can try and do SEO on your own but chances are you will never achieve the optimal results that you would if you had a company who specializes in SEO doing the work for you. It is time consuming and will take you away from your more important focus: your business. Finding an SEO company that wants you to succeed is your first priority. Once you achieve this, let them do the work of growing your business so you can get back to the real task of running your business. We Rock SEO was conceived out of demand from our website clients who wanted their sites to get noticed as someone is searching for services similar to theirs. Our parent company, WebAuthorings, wanted to have one-stop shopping for our customers. This would enable them to receive optimal results from their websites. They wanted aesthetically pleasing sites that would catch someone’s eye and are easy to navigate. However, what good is that site if no one is finding it? That is where We Rock SEO comes in. We will research the common keywords used by clients to find your business. And then we will use those words to get your site noticed. It sounds easy but is actually much more complex than that. We compile data and generate reports behind the scenes. These are things you shouldn’t have to worry about much less have time for. Let We Rock SEO show you what we can do for your website. 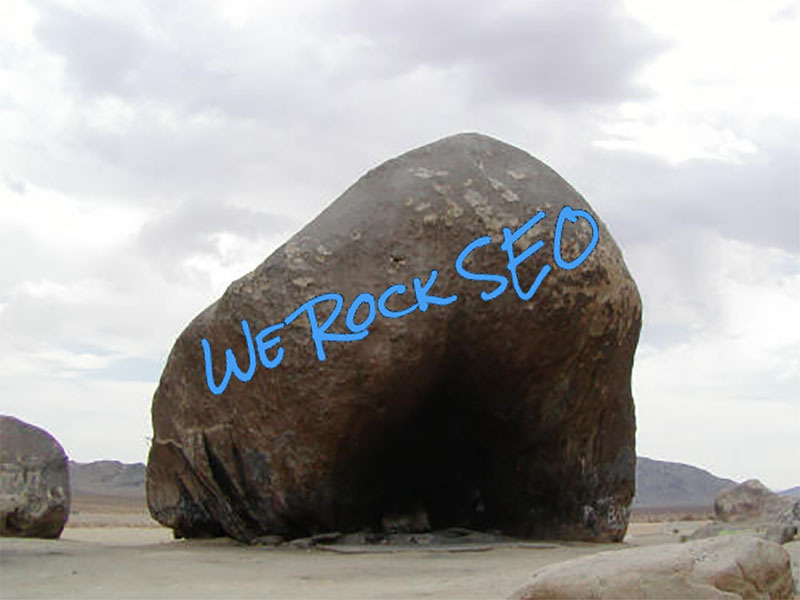 We really do rock SEO!